BBC TV in SpainThe BBC1 TV channel is available on various frequencies, due to the various BBC1 local regions. BBC channels, like BBC1, BBC1HD, BBCHD, BBC2, BBC Three, BBC Four, CBeebies, CBBC, BBC News are Free to air TV channels and available for free without any subscription or without a Sky card. ITV TV in Spain The ITV1 channel is available on various frequencies, due to the various ITV1 advertising regions. Most ITV channels are Free to air TV channels and available for free without any subscription or without a Sky card. Channel 4 TV in Spain Channel 4 group of channels are available on various frequencies. 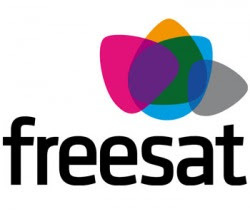 The free to air channel 4 channels, C4, C4HD, E4, More4, Film4, 4Seven, are Free to air TV channels and available for free without any subscription or without a Sky card. If you have a Sky viewing card, Irish versions of the Channel 4 channels are on frequency 12480 V 27500 2/3 - the Irish version of the Channel 4 group of channels. Channel 5 TV in Spain The Channel Five group of channels are available over two frequencies. Five, Fiver and Five USA are Free to air TV channels and available for free without any subscription or without a Sky card. Irish TV Channels In Spain Irish TV channels are spread over many frequencies. The main Irish TV channels, like RTÉ One, RTÉ Two, TG 4, TV 3 are available on frequency 10744 H 22000 5/6. Irish TV channel 3e is on frequency 11261 H 27500 2/3. All the main Irish TV channels require a Sky veiwing card registered at an Irish address to view. You cannot use a Sky card at a UK address to view Irish TV channels. We supply, install and provide upgrades and servicing for Satellite TV systems and Digital TV systems for areas of the Costa Blanca and Costa Azahar, between Calpe to Valencia and inland. Sky TV in Calpe. UK TV in Calpe. Sky Satellite TV Reception Help in Calpe. Sky TV in Denia. UK TV in Denia. Sky Satellite TV Reception Help in Denia. Sky TV in Gandia. UK TV in Gandia. Sky Satellite TV Reception Help in Gandia. Sky TV in Javea. UK TV in Javea. Sky Satellite TV Reception Help in Javea. Sky TV in Lliria. UK TV in Lliria. Sky Satellite TV Reception Help in Lliria. Sky TV in Oliva. UK TV in Oliva. Sky Satellite TV Reception Help in Oliva. Sky TV in Ontinyent. UK TV in Ontinyent. Sky Satellite TV Reception Help in Ontinyent. Sky TV in Valencia. UK TV in Valencia. Sky Satellite TV Reception Help in Valencia. Sky TV in Xativa. UK TV in Xativa. Sky Satellite TV Reception Help in Xativa.